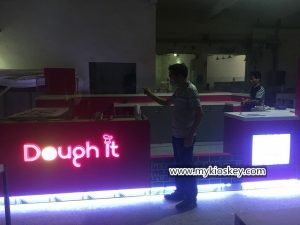 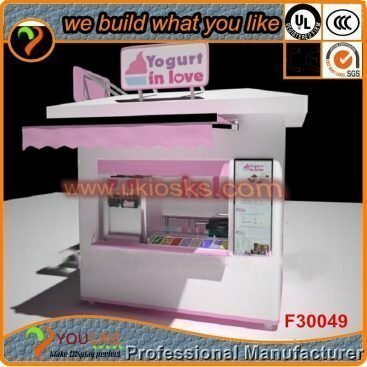 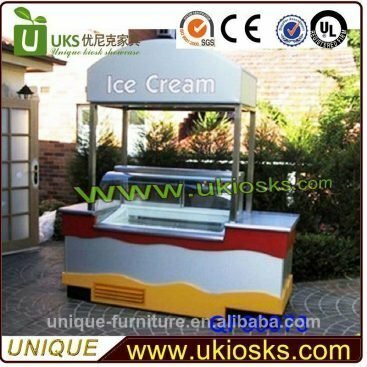 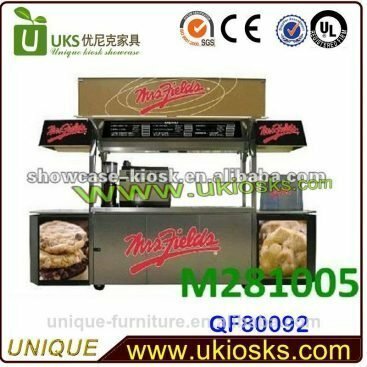 ice cream and frozen yogurt always very popular in many countries.Many customers are looking for ice cream kiosk for their new business.But choose a good supplier who can supply you good quality and good price is very important.Unique is a factory did customzied mall kiosks 10 years,also have professional design team,designed and made many nice ice cream and frozen yogurt kiosks before. 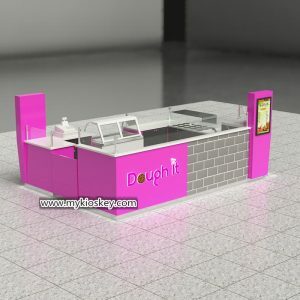 it is 15ft by 10ft,totally used purple color match black tile and white corian countertop.looks very nice. 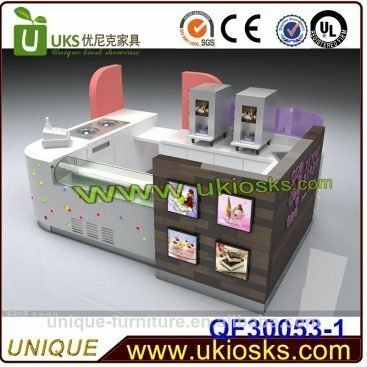 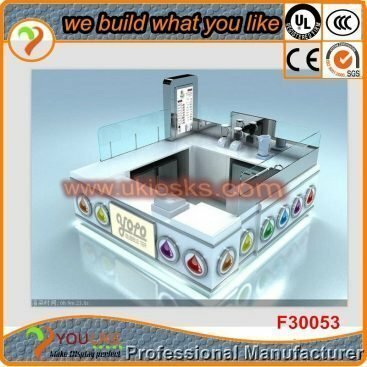 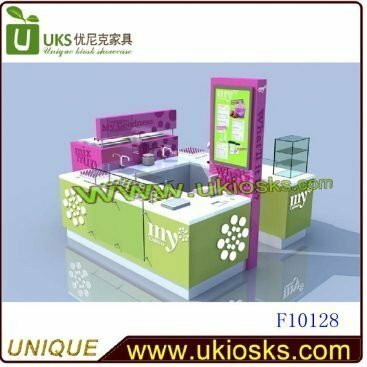 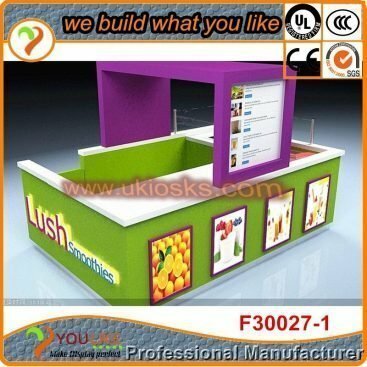 US mall as usually will ask for 4 sinks,3 sinks for wash fruits and one sink for hand wash.
any ideas and needs just tell us,we can design as your ideas for you see effect.